TORONTO – The Toronto Argonauts announced today that Corey Chamblin has been named the 44th head coach in team history. Chamblin, 41, returns to Toronto after spending 2018 at the University of Arkansas as quality control and defensive backs coach. 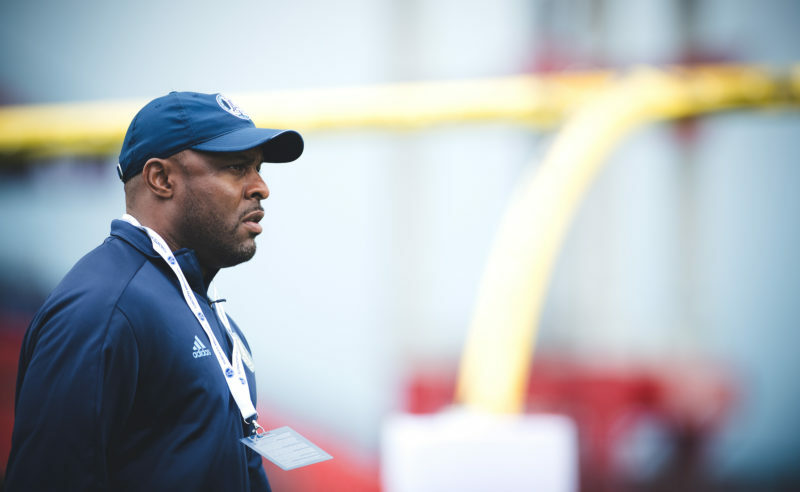 Chamblin saw immense success as the Argos defensive coordinator in 2017 and under his guidance, the Argonauts defence produced six East All-Stars, tied for the league lead in sacks (50), led the CFL in opponent rush yards/game (82.8), finished second in both opponent net offence/game (329.1) and opponent yards per play (6.1). It was his stellar defence in the 105th Grey Cup that saw a 109-yard fumble recovery for a touchdown and a game-sealing interception in the end zone help cement the club’s record 17th championship. As a player, the former Tennessee Tech Golden Eagle, spent time between 1999 and 2004 with the NFL’s Baltimore Ravens, Jacksonville Jaguars, Green Bay Packers, Tampa Bay Buccaneers, Denver Broncos, Indianapolis Colts and the Rhein Fire of NFL Europe. Congratulations to Coach C. I hope it is a good move for the Argos. The league needs a competitive Argo team. Congrats to Corey Chamblin. Hope he does well with the Argos. I hope Franklin has thick skin when he is berated in front of his team at half time. I wonder if Chuckles tries to squeeze one last year out of Durant to back up Franklin or even start? Good for Cory. As for Darian, I would not be even a little surprised. Cory and Popp have near identical philosophies regarding veteran players. With those 2 together the Argos will never get young. Still pisses me off how much Corey throws his guys under the bus to the media when they lose. Much prefer Chris Jones' style, take all the blame in front of the press, do your yelling in the meeting rooms. I doubt they care or even have that conversation. Well if they are happy, that’s all that matters.